Get, Set, Cho Cho, Go! 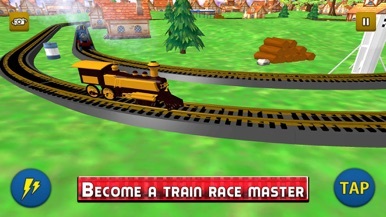 Don’t stop tapping before reaching the finish line on the train tracks and keep your racer locomotive ahead of your rivals to become the top engine master in the racing town. Keep an eye on your opponent and if he gets too close press the boost button to claim victory and move on to the next race track. 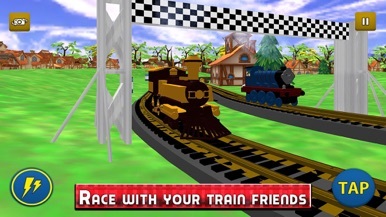 Become the racing champion of the train racing competition held in old railway valley also known as abandoned railroads. OXO Games Studio brings you a tap challenge with this tap race game in the racing games, idle games and addictive games category. 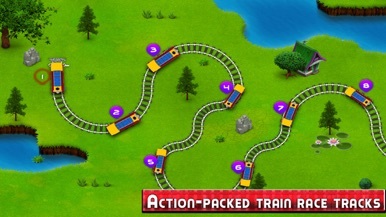 Be an engine master of the racing train and win the championship against all your train rivals. 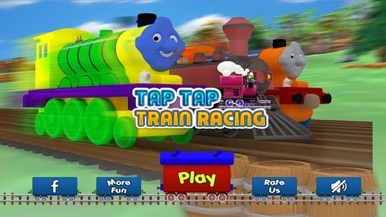 * If you like this Tap Tap Train Racing Club Pro game, then Rate and Review and if something went wicked or you have any recommendation then please give your valued feedback at mailto:3d@oxoapps.com. * This is free game especially for Sports games, Racing games, Idle games, Train games and Simulation games lovers. تطبيق راحتي هو تطبيق يوفر مجموعة كبيرة من الخدمات في مكان واحد حيث نقوم بتلقي طلبات مختلفة من العملاء و نعمل على انهائها و توصيل الطلب الى منزل العميل في حينه. كما نعمل على حجز بعض الخدمات التي تحتاج الى عمليات الحجز المسبق. ببساطة راحتي هو الحصول على افضل خدمات و بكل راحة. Mall Chat is a full-featured chat and shopping, task, video and file sharing platform that inspires teams to collaborate more effectively and happier at work. More than 500,000 companies from 15 countries and regions use Mall Chat to communicate, collaborate and increase market and productivity. Getting late for your appointment? Need a quick ride to reach your destination? New in Town and don’t know the directions? Worry Not! HappiiRide application is all you need. HappiiRide is a ridesharing app for fast, reliable rides in minutes’ day or night. Forget about Parking, Traffic and wait for a taxi or bus. Pancious Benefit App is an loyalty program based on mobile application that provides exciting benefits and exclusive privileges for Pancious loyal customers.